Hey everyone! It's Candace from Candi O. 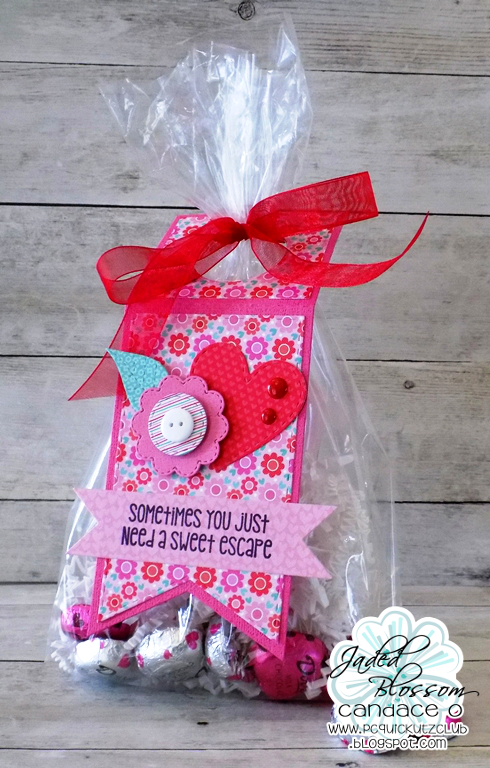 Designs and it's my day over at Jaded Blossom and I am sharing Valentine Theme projects I created using lots of JB goodies!! I had some Dove Valentine chocolates that fit perfectly into the 3x10 clear bags so I created a topper for a quick little treat to give. I just love this lil' cupid girl so I made her into a card and added Jaded Blossom Dies and Sentiment to create her extra special ~ love how she turned out! 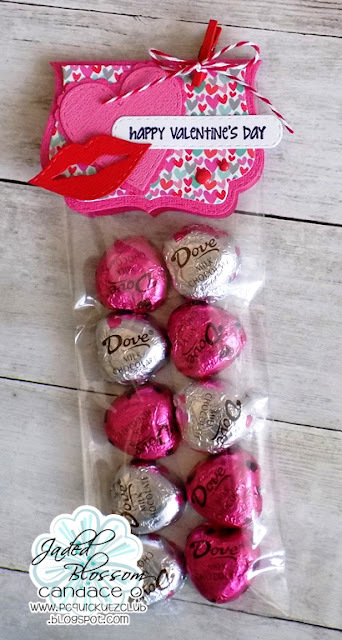 I had a bottle of hand lotion (Honeysuckle Amore) that I thought was perfect for Valentine's Day so I added filler, lotion and chocolates to a bag and then created the wine tag die to add to the bag for a cute gift! Love these but your little card is so super sweet!!! Cupid girl is so cute.